Another in an occasional series where I freeze frame a DVD to see that the producers skimped on something they really shouldn't have skimped on. This one was really blindingly obvious. A pretty good episode all told, full of the old style Len Deighton or John Le Carré who is bluffing who, who is real, who is not. The obvious bad guy doesn't seem to be that bad, maybe he's being framed, but Adam Carter knows him and is falling to pieces himself, so maybe Adam is compromised, etc, etc. There's even a George Smiley or Bernard Samson character seen in flashback. As I said, pretty good. 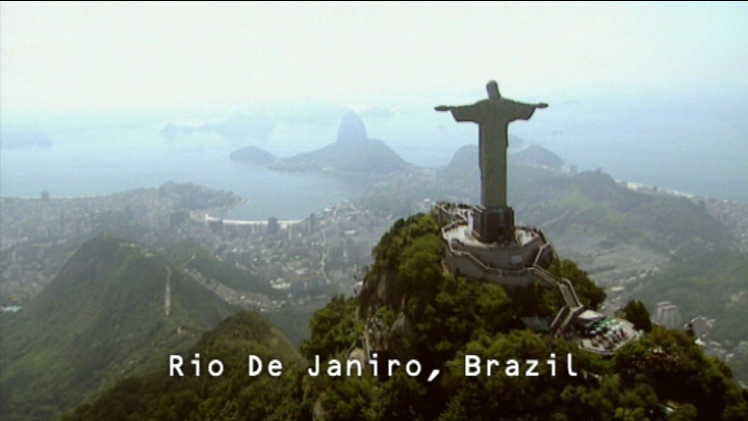 Shouldn't that be, you know, Rio de Janeiro? Sloppy, Kudos, very sloppy.